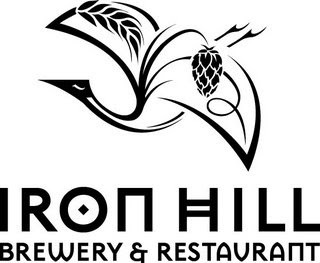 Iron Hill Brewery & Restaurant recently opened its eighth location in the tri-state area, and its first in New Jersey, at the former Pastavino site on Kings Highway in Maple Shade. My family and I recently ate at the chain's newest spot to sample some of the newest gluten-free offerings. Available during lunch and dinner hours at all of its restaurants, Iron Hill's new gluten-free menu includes over 40 modified dishes, such as Brabant Mussels with white wine, leeks, garlic, parsley, lemon and cream, Voodoo Shrimp with honey barbecue sauce, white rice, sour cream and green onion, Fiery Baked Chipotle Wings, served with blue cheese dressing and vegetable sticks, Grilled Salmon with baby arugula, imported olives, red onion, grape tomatoes, mushrooms, roasted red peppers, feta and balsamic vinaigrette, and Char-Grilled Angus Sirloin with grilled fingerling potatoes, asparagus, sun-dried tomato-portobella mushroom relish. Not only does the chain offer an extensive gluten-free adult menu, but it also has a slate for kids as well. Children get an entree, beverage, and a choice of two sides (or one side and ice cream) for $6.50. The kids' menu lists shrimp and chicken entrees, burgers, breadless sandwiches, seven different side items, and four ice cream flavors. We started our meal with a large shared plate of the gluten-free Classic Baked Buffalo Wings served with blue cheese and vegetable sticks. The mild chicken wings and drumsticks were surprisingly tasty even though they weren't deep-fried. Both boys ordered off the childrens' gluten-free menu: my older son ordered a bunless cheeseburger with steamed broccoli and my younger one had the broiled shrimp with mashed potatoes, and both slurped down the house-made root beer. They followed dinner with a scoop of ice cream. Iron Hill clearly has made an effort to appeal to gluten-free guests, and it shows in the large number of menu choices. The restaurants don't yet brew gluten-free beer on the premises, but Redbridge is served in bottles. In addition to the Maple Shade locale, Iron Hill has Pennsylvania outposts in Lancaster, Media, North Wales, Phoenixville and West Chester and Delaware locations in Newark and Wilmington.